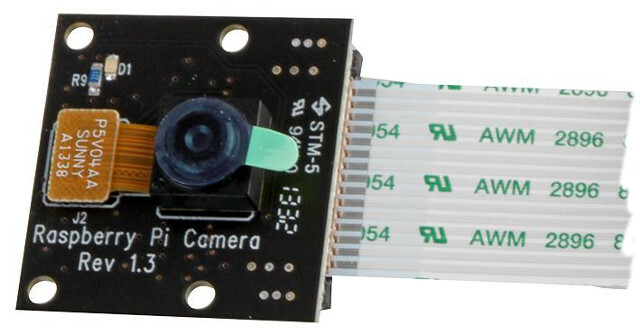 The Pi NoIR V2 infrared camera module is a custom designed add-on for the Raspberry Pi (all models) to take infrared images and videos. It attaches to the Raspberry Pi by way of one of the small sockets on the board upper surface. This interface uses the dedicated CSi interface, designed especially for interfacing to cameras. The board itself is tiny, at around 25 mm x 23 mm x 9 mm. The sensor itself has a native resolution of 8 megapixel. In terms of still images, the camera is capable of 3280 x 2464 pixel static images, and also supports 1080p30, 720p60 and 640x480p60/90 video. Note: The Pi NoIR camera is sensitive to short-wavelength IR radiation (around 880 nm) produced by infrared emitting LEDs. It is not sensitive to long-wavelength IR radiation (heat), so it requires an LED 'illuminator' to see in the dark. There are 2 variations of this product available, please make your choice from the product list. 1 items can also be configured to your needs, please use the "Configure Item" link below the product text to do so.